Slimline double-glazed units have narrower cavities between the panes of glass than standard double-glazing units, and look just like single glazing, making them ideal for windows on listed, conservation and period properties. With slimline double-glazing, from the exterior and the interior (unless you look very closely), you can’t tell that the windows have double-glazing fitted – which is vital to retain the original character and value of a period property. The thermal efficiency of slimline double-glazing can also now be even better than standard double-glazing, achieving U-values (the term used to measure thermal efficiency) of as low as 1.2 Wm2K on a 6mm gas-filled cavity, depending on the type of gas fill used. The reduction of heat loss through slimline units is up to 77 percent as when compared against single glazing, and it is possible to achieve Part L building regulations for thermal efficiency with windows fitted with slimline double-glazing. Our slim double glazing is also available in a wide variety of glass types, including reproduction Crown glass, which has the authentic uneven reflection of the original glass. 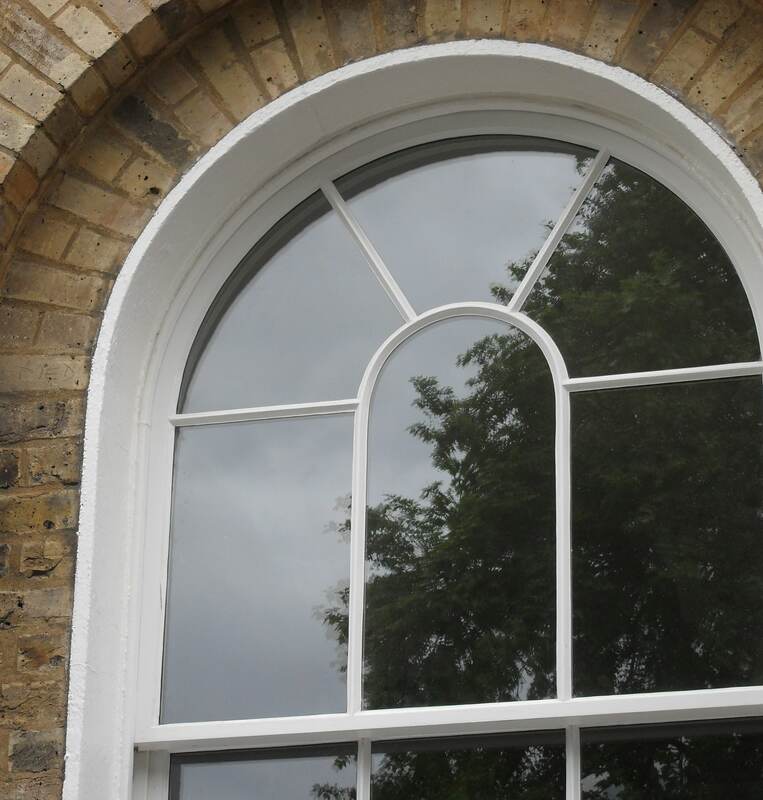 This means that period property owners can benefit from all the insulation benefits of double glazing, whilst replicating the original design of their period windows, including the narrow glazing bars which are crucial to maintaining a truly authentic appearance. For more information have a look at our Top 10 reasons for choosing slimline double-glazing over standard double-glazing for conservation, listed and period properties.